You will be greeted with the following warning message. Click Yes to proceed or No to cancel. If you click Yes, the type is now Inactive. To make a type active again, change the filter to view Inactive appointment types only. Do this by clicking the Filter and select Inactive. 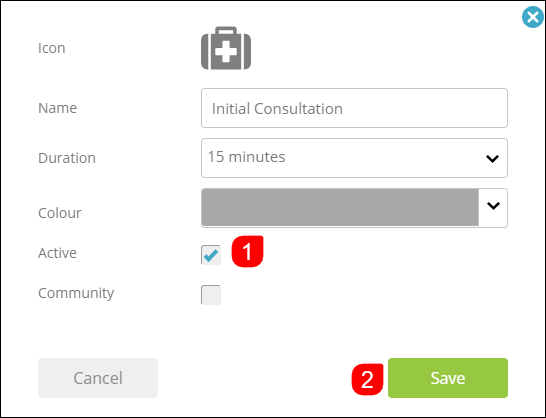 Be sure to de-select Active as shown. Your screen will now show Inactive appointment types only. Hover your cursor on the type you wish to reactivate and click Edit. Similar to the process before, check the Active box and click Save. If you click Yes, the type has now been made Active again. You've completed another MediRecords Tutorial. 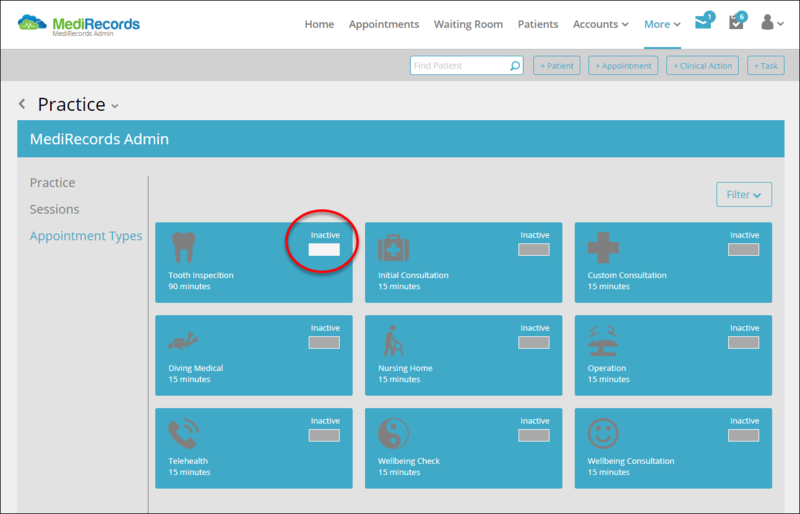 You should now be able to manage your Appointment Types. If this is not what you're looking for, head back to our knowledge base and search for another article. For urgent assistance, please contact MediRecords support on 1300 103 903 during business hours.